The past days I have spent wandering around the camp ground which is hosting over a thousand aircraft having congregated at this lively airport for the air show, Sun'N'Fun in Florida . I knew it was the day of conception for the project of my dreams. 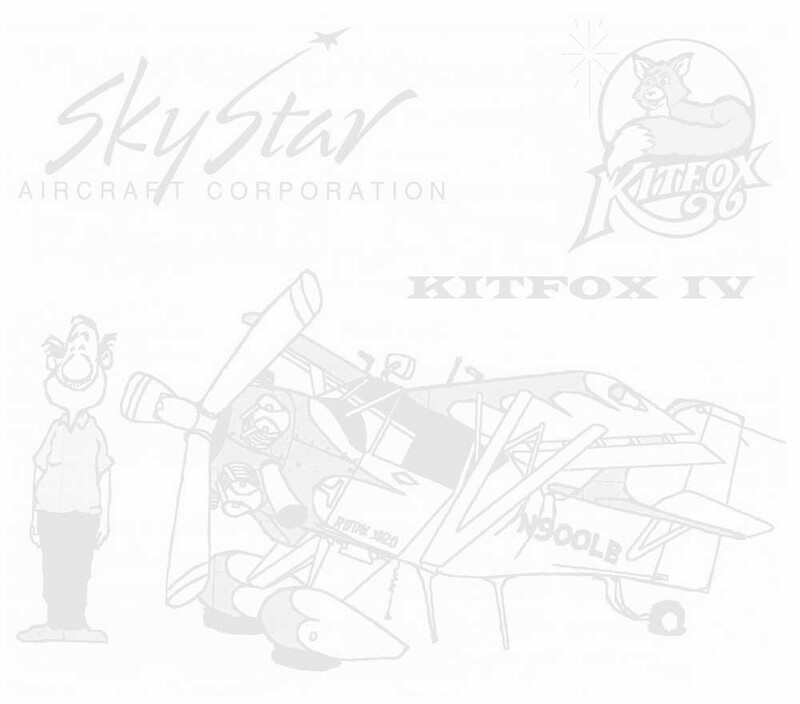 I was going to order the parts to build my aircraft, the Sky Fox (Kit Fox). Actually the project started years ago. It is hard to set an exact date. In my youth when I built model aircraft, some of that quest for testing my engineering skills was already spinning around. The renewal of the thought finally arrived when I came in possession of that precious commodity "time". Selling my company gave me lots of that, but at first I wanted to escape the treaded path and went out into the world on travels. Wherever I went I tried to find an opportunity to fly or imagined how it would be when flying there. On my exploration of Malaysia in early 1993 the idea of soaring through their skies really got stuck in my mind. So when it was suggested to me to do something better than traveling around the world and find something really serious to do, I decided to build my own aircraft. The moment I spread the news about my intentions came when I looked at a piece of real estate, a ranch in southern Arizona having a 7000 ft. runway and two hangars sitting there not being used. All those flashy advertisements slid past my inner vision of living communities where one has an aircraft parked in front of one side of the house and a car on the other. In one of the many aircraft magazines going through my hand I came across an advertisement of the Sun'N'Fun event in Florida. For me it seemed to be the right place to go and experience Experimental Aircraft on a more intimate level than the Oshkosh event later in the year. So I decided to book a week in Florida and find out what was available. At that time not too many aircraft kits were on the market, so I attended some seminars to find out what it was all about. Some of the interest group discussions dealt mainly with problems in getting the aircraft to fly acceptably rather than to bring forth their advantages. Thus I produced a list of aircraft kits not to consider. Of the many beautifully made up aircraft in the display area I was drawn to the Sky Star exhibition showing the latest model of the Kitfox IV Speedster. What appealed to me most was the straightforward construction with tube frame and fabric. I could relate to that as I had come experience in various tail-draggers. As of today, more than 900 have been built. At that time I was not too thrilled about the Rotax 912 engine. It had a little too much of a hobby appearance. Thus I decided to wait with ordering the engine and by the end of the week I had signed a delivery contract for a kit of the Kitfox IV. The check I handed over was close to $ 15'000. The final weight is depending on engine and various extras. Later on instead of a Rotax an NSI engine with variable pitch prop was installed together with an oil cooler and IFR capable instrumentation. In a later chapter I will address the flying and handling characteristics. 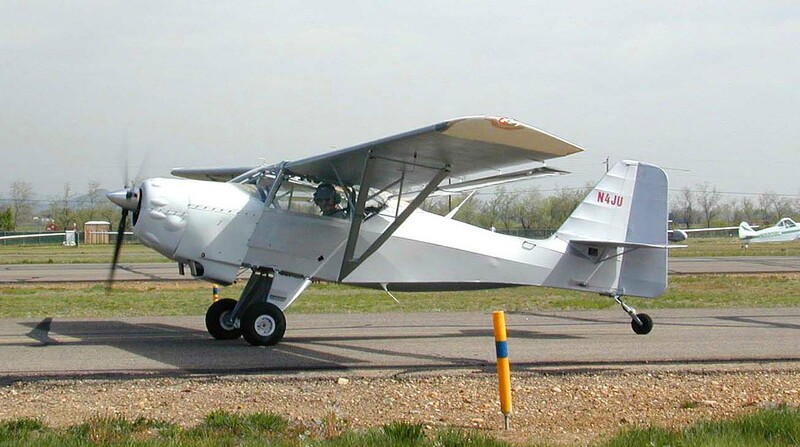 The aircraft is a two seater, side by side, tail-dragger with a powerful engine, however with limited cabin space. 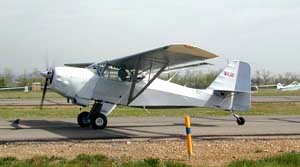 The short-field take off capabilities are extreme having also good short-field landing abilities. The above data is only a condensed version of the most important ones. Look on the later pages for further information specific to the aircraft built.